A worksheet to practise past simple.Key included. 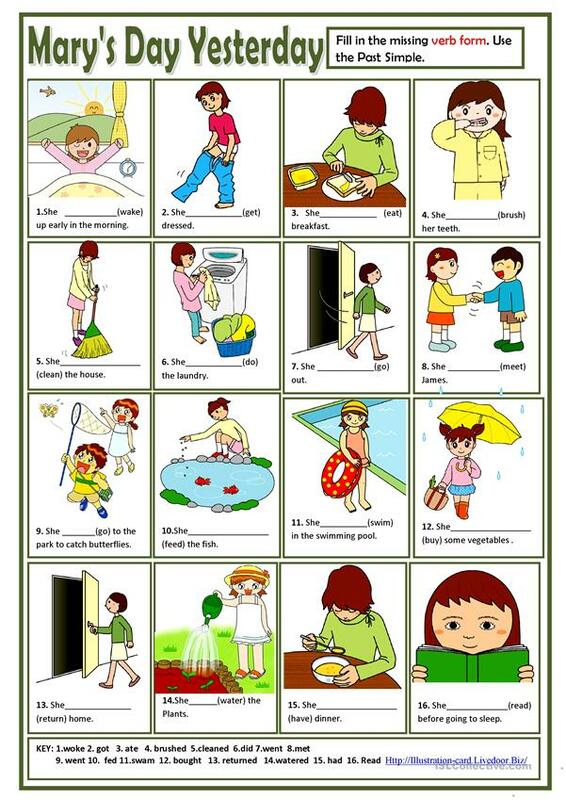 This downloadable handout was created for elementary school students at Beginner (pre-A1) and Elementary (A1) level. It is a useful material for revising Past simple tense in English, and was designed for developing your learners' Spelling, Reading and Writing skills. The answers are provided, too.